Investing in a good winter coat is important, it must not only protect you against the cold but it also has to last long. And of course it also has to look flawless! Everybody’s body is also different, so not every type from coat fits perfect on you… Of course you can always wear what you want and love. But I’m going to give you some tips so that you will look amazing in your winter coat! A trench coat or long winter coat is not perfect for everybody. Especially not when you aren’t that long. You need to watch out with the color you choose. Like example beige is a this moment a real trend. But this doesn’t give your face any color if you have a pale skin. If you have a pale skin you better can choose a brown or green jacket. Wear a thick sweater when you are going to fit/buy a winter coat. If the coat still feels comfortable with the sweater under it, then is this one perfect for a cold winter. Do you wanna invest in a more expencieve coat that you can wear some seasons? 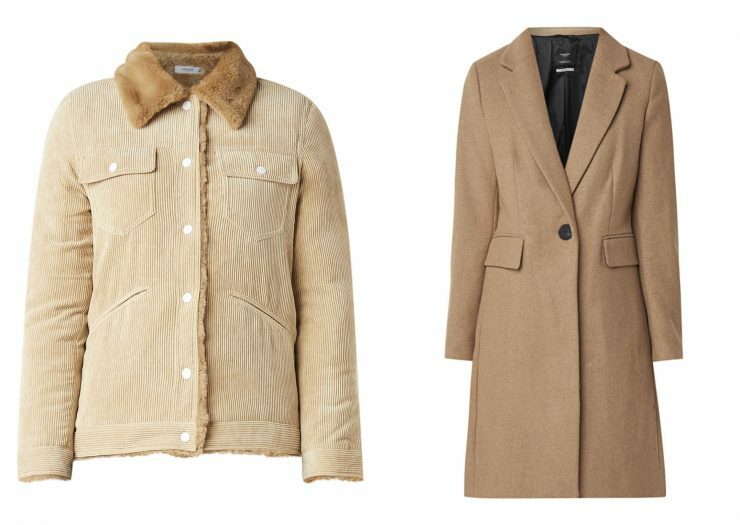 Then you best can choose a neutral coat from color. Because then you have less chance that the color will not be trendy in some time or that you quickly get tired of the color. Coats full in fake fure are so trendy! And then think about fake fur coats in special bright colors and special prints! Especially animal prints are so popular. But when fake fur is too much for you… Then you can always choose for a coat with a fake fur detail like a fake fur collar. A trend that is very elegant are capes. And this year it is not only a boring cape. No, because you find these in different colors and with prints! It’s also perfect for when it’s so cold, because then you can wear this over your (leather) jacket. It not only looks good but it also feels nice and warm. With a puffy jacket I mean a more wadded jacket. It’s an item that stands out more, but you will see it more often and often. So we will get used to these puffy jackets! These are for this winter so trendy but the best part… It’s a nice and namely warm (trendy) jacket! So this were my tips so that you can find the perfect winter coat for this year! And now you also know with trends you will see a lot this year. So good luck with you searching to the perfect winter coat.